Provide comfort for the family of Dolores Fennerty with a meaningful gesture of sympathy. Dolores Rita Fennerty, age 84 of Winnsboro, passed away on Friday, February 22, 2019, in Winnsboro, TX. She was born on August 11, 1934, in Worcester, MA to the late Dolor Soly and Albina Bombard Soly. Dolores was a member of The Gathering Church in Mt. Vernon, TX and a proud member of the Mad Hatters. She was preceded in death by her husband, Vaughn Fennerty; and sisters, Barbara Soly and Claudette Gibson. She is survived by son, Gary Fennerty of Lubbock, TX; daughter, Kathleen Coffman and her husband, Billy, of Mt. Vernon, TX; daughter, Eileen Moring and her husband, Guy, of Scroggins, TX; daughter, Lynn Scrivner and her husband Robert, of Cabot, AR; son, Daniel Fennerty and his wife Cherida of Pleasantview, TN; daughter, Denise Lilly and her husband Tom of Whitewright, TX; brother, Eugene Soly and his wife Carol of Pembroke Pines, FL; 10 grandchildren and 12 great-grandchildren. Visitation will be held on Sunday, February 24, 2019, from 2:00-3:00 pm at Beaty Funeral Home located at 816 W. Broadway Winnsboro, TX. Funeral Services are immediately following in the Beaty Funeral Home Chapel at 3:00 pm. Officiating will be Pastor Richard Cox. In lieu of flowers, the family requests memorials be made to the Winnsboro Animal Shelter or St. Jude's Children's Hospital. 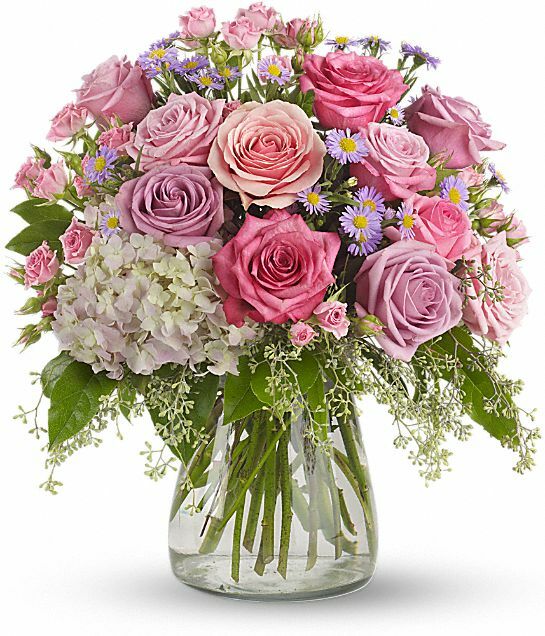 To send flowers in memory of Dolores Rita Fennerty (Soly), please visit our Heartfelt Sympathies Store. Michael J. Curtin & Associates sent flowers to the family of Dolores Rita Fennerty (Soly). Michael J. Curtin & Associates purchased the Your Light Shines for the family of Dolores Fennerty. I don't know what to say, I fell very sad and miss my sister Dolores. She is now with her love Bob. Carol and I will miss our Sunday evening phone conversations with her. I will always remember she ended our conversation with "I love you". Rest in Peace Doe. Your little brother Gene.